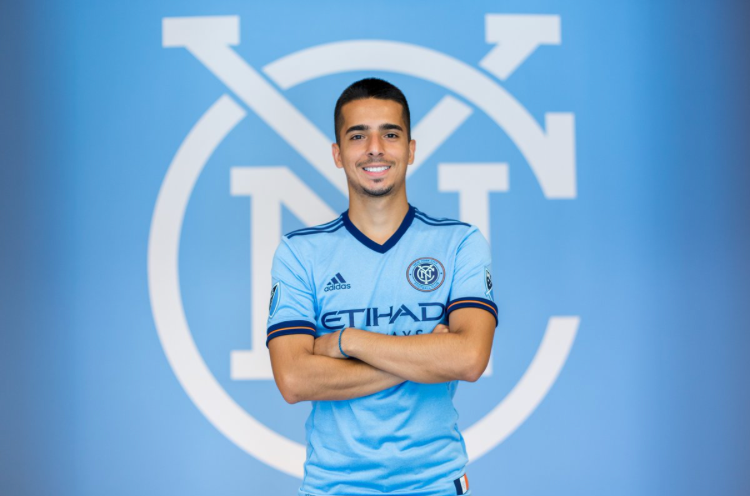 Bedoya has been training with the first-team since catching the eye of the coaching staff in a midweek scrimmage between NYCFC and the Rough Riders at Etihad City Football Academy. Bedoya told NYCFC.com, “It’s awesome that I’m in the city that I was raised in. I came from Colombia when I was eight and have been in Queens ever since. Playing for the team of my city, it’s just a great opportunity for me and I’m very excited. “The first training sessions, there was obviously a lot of nerves, but the guys have been great ever since I came in, they were very friendly, very nice. The leaders on the team like Maxi, David and all of them have been helpful. Daniel was a member of the New York Red Bulls Academy and played for NYRB II from 2015 to 2017, making 25 USL appearances over two seasons. NYCFC Head Coach Domènec Torrent said of Bedoya, “We watched the friendly game and we saw this player, Danny, and saw he has a special quality to play in between the lines.